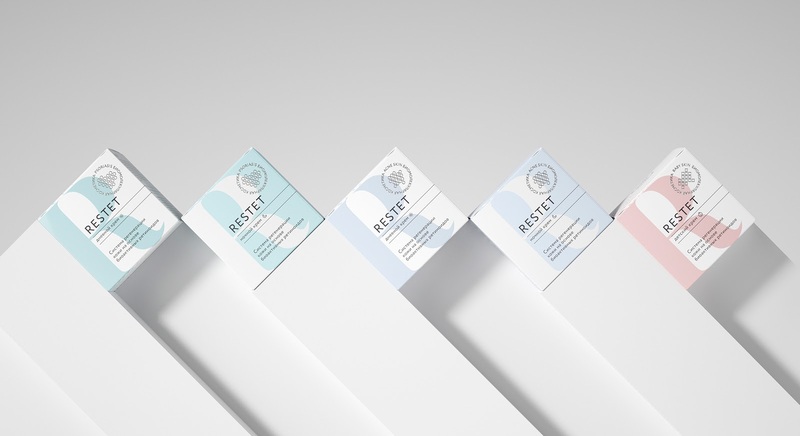 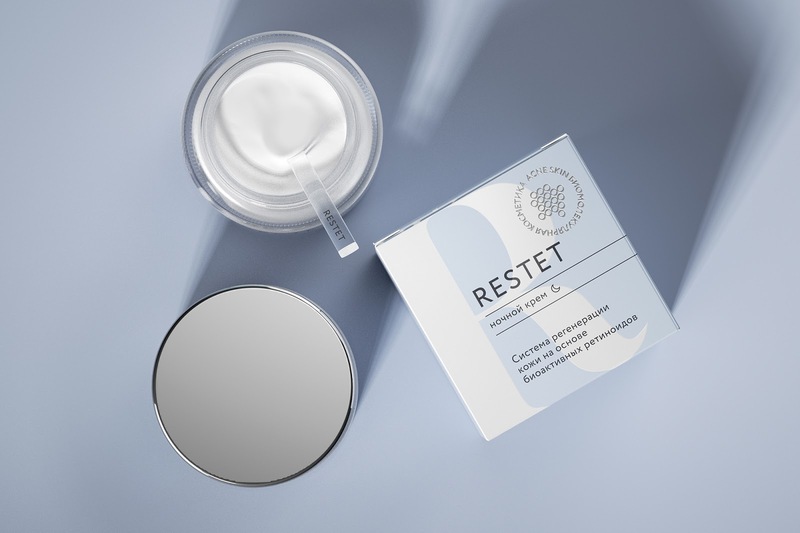 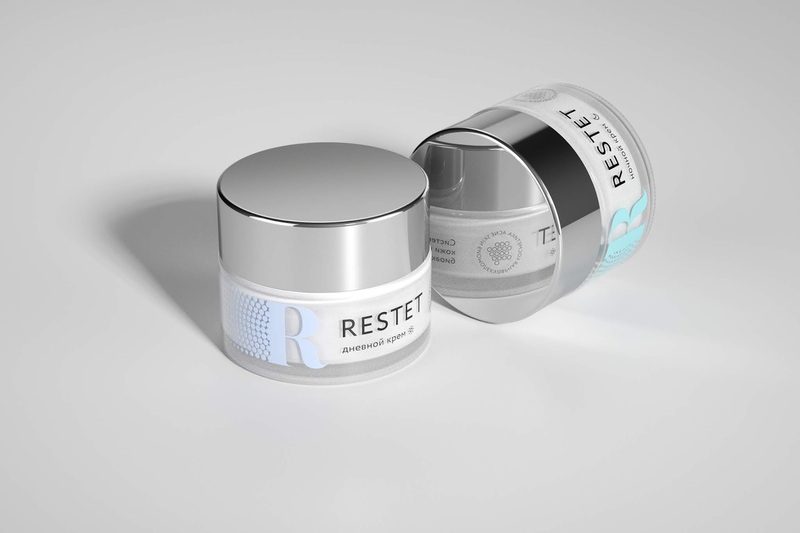 Restet is an innovative cosmetic remedy against diseases such as psoriasis, acne and dermatitis. 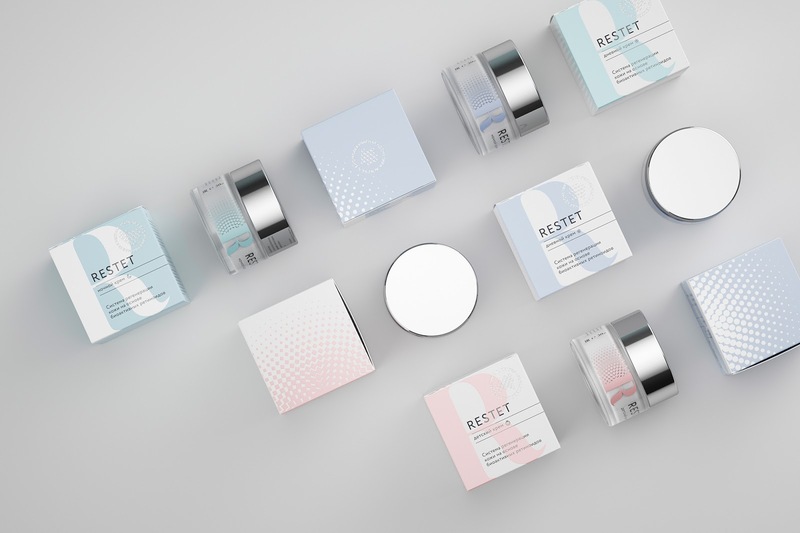 Repina Branding Agency created the name of the brand, which reflects the composition and action of the creams on associative level. 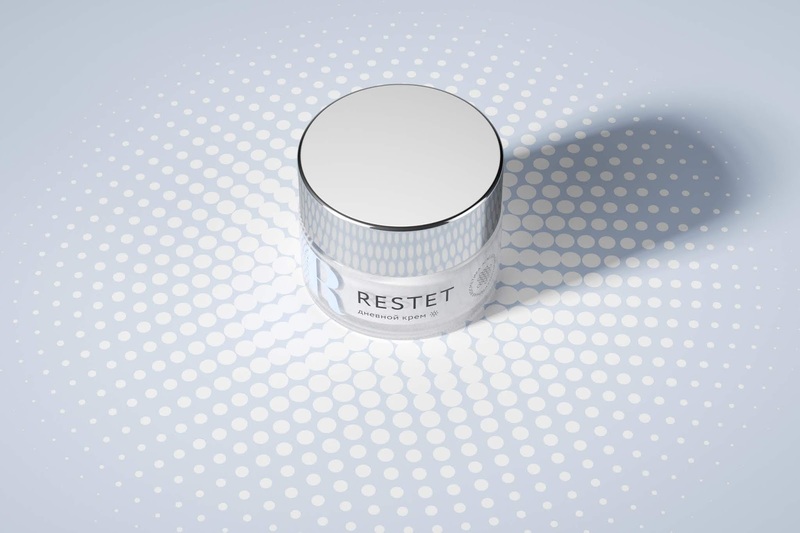 Restet - a neologism that contains a prefix "Re" (regeneration, retinoids), and "Estet" as aesthetics. 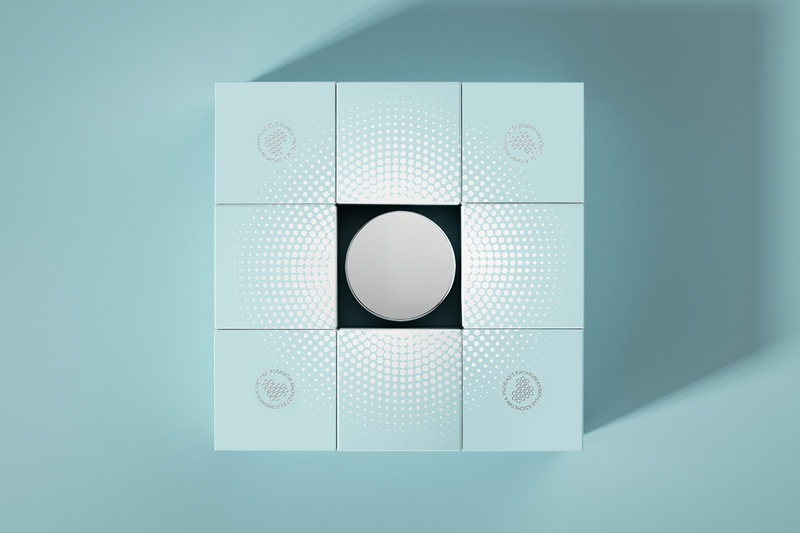 The main elements of the style are ray patterns aspiring to the letter R. Patterns symbolize quanta of light, molecules that penetrate the skin. 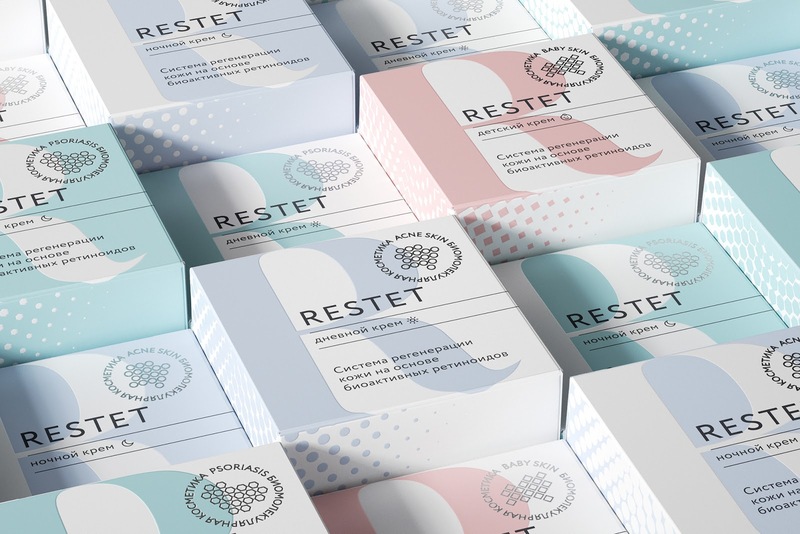 The shape of the pattern molecule is tied to the type of product: hexagons - psoriasis, circles - acne, rhombuses - diathesis. 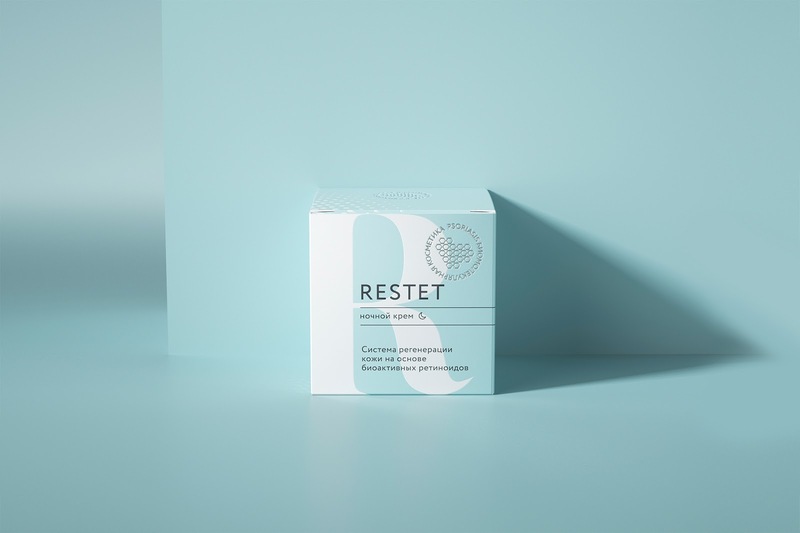 Pastel colors emphasize a caring and delicate approach to skin care.